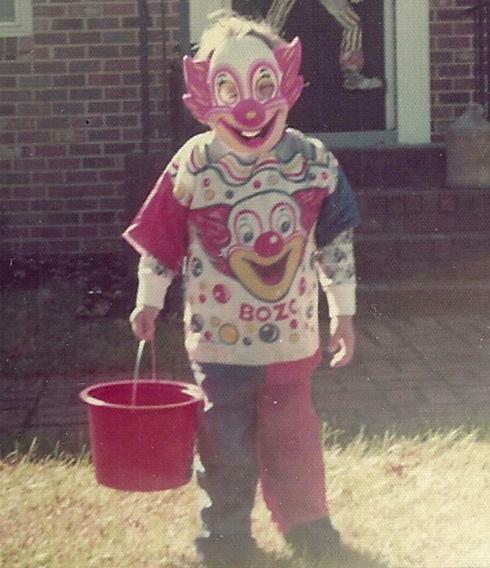 In the time of wide lapels, enormous cars, and disco music that we fondly call the 1970s, going to school on Halloween without wearing your costume was about the biggest faux pas a kid could commit. And the only night more exciting than Halloween was the night before Halloween, which we called Mischief Night—an evening dedicated to hanging toilet paper from the neighbors’ trees, among other forms of… Well… Mischief. Parent: Where are you going with that roll of toilet paper? Of course, it’s 2013 now, and we all know how the 1970s worked out. Mischief Night disappeared along with shag carpeting, 8-track tapes, and macramé, probably for the best. And by now, a lot of schools no longer allow students to wear their Halloween costumes. Dressing up in funny hats or funny socks or pajamas is reserved for a school’s spirit week. And no, not the school’s haunting spirit. Its rah-rah-sis-boom-bah spirit. Does your school have Halloween celebrations? Or do you have a costumeless fall celebration? And would a classroom full of students dressed in their Halloween splendor be any different than a classroom full of students in funny hats? We still celebrate Halloween complete with costumes. NO WEAPONS allowed. We do a walk and the kids get candy. Our school loves October ! We have a Fall Festival, organized by a dedicated 3 year old teacher. Pumpkins ,apples. and scarecrow making. We also do Halloween with costumes and treats. It makes for a busy October but lots of fun. Last year because of Super Storm Sandy we did Halloween in mid November. We enjoy the children’s love for dress up. Wearing our costumes to preschool on Halloween and marching up the the Pastor’s office for a treat (raisins and apples) sure is fun. I will be Autumn this year complete with a leaf crown and cape.